I can't believe we are in Fall and it is still 99 degrees!! A great option to wear in this warm weather is a dress like this one from Luna B-- it is the perfect transition piece. 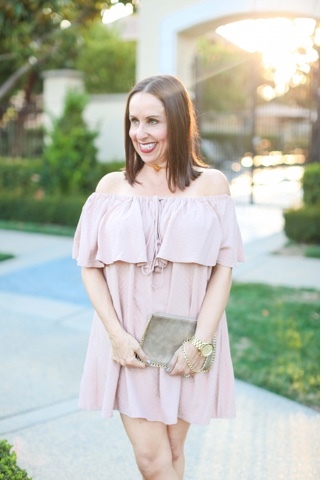 I think my favorite thing about this dress is this blush color. I don't know about you, but I have seen this color everywhere lately and I'm in love!! I decided to pair this dress with these great taupe Jeffrey Campbell lace ups. 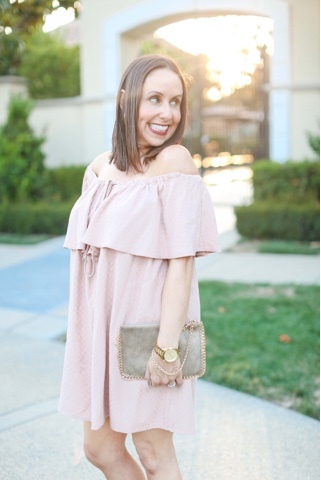 Taupe is such a neutral color and perfect to pair with lighter colors like blush. 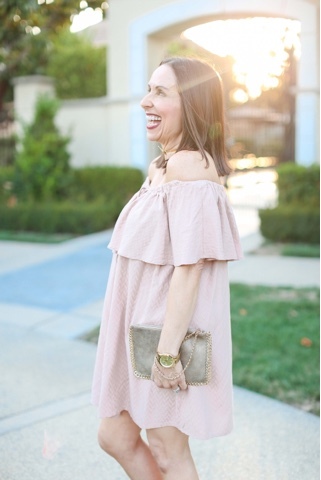 I added a fun clutch and this adorable gold choker and I was ready to have a perfect anniversary dinner with my hubby!!! 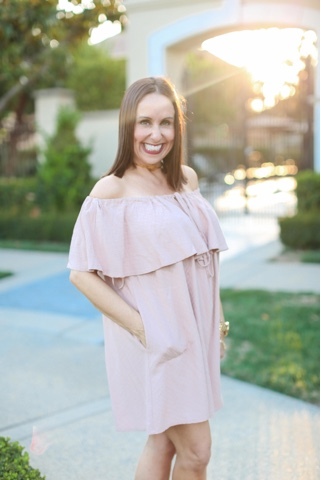 We had the best time celebrating at the Resort at Pelican Hill for a little get away stay cation, and had a lovely dinner at the Pelican Grill. If you are ever in the Newport Beach area you have to check it out!!!! Hope you had a fabulous weekend. Thanks to Taylor Cole for photos and Happy Reading!!!! You can shop my look by clicking on the links above!! !